Our skin is continuously being exposed to changes, whether they are external or internal. Due to this, our skin becomes susceptible to many fluctuations and sagging skin is one of the major changes among these. Sagging skin is experienced by almost all the people at some point in their lives. Sagging skin can be a result of on particular change, a combination of several factors contributes to make firm and taut skin to become saggy and loose, and therefore become droopy. The most common culprits of loose skin are aging, damage to skin via sun, and pregnancy or weight loss. responsible for making the skin smooth and taut. 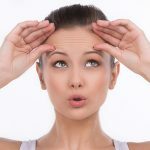 The damage that is caused by aging, from the sun and toxins in the environment, and other factors eventually weakens these proteins by breaking them down, and frown lines, wrinkles and sagginess start appearing on the skin. Aging – When we age, the body is affected in more than ways and the we lose a lot of important proteins. Our organs are not as healthy and the connective tissues supporting our bones known as cartilage also weakens. Consequently, the skin surrounding these tissues loosen. The fat distribution also varies as we age, and tends to clump in places. These clumps are more susceptible to sagging and causing the skin around it to sag too. Sun Damage – There’s a reason for which SPF is advised for regular use. Direct sun exposure can cause the collagen to break and the skin to age prematurely, and also increase the threat of skin cancer. Weight Loss – Rapid weight loss – after pregnancy or after following a strict exercise and nutrition plan – can cause the emergence of loose skin. Our skin stretches when we become fat, and when we lose this fat the skin takes time to tighten. Meanwhile, it stays saggy. Take an Aloe Vera leaf, and peel one side of the leaf using a knife. Extract the gel from the leaf and blend it slightly until it reaches an even consistency. follow this several times a week. How this works: Aloe Vera is well known for its beauty and skin benefits. It works wonders for not just the skin but also for the hair as well. It has been used for treating sunburns, tightening skin, and as a moisturiser for a long time. There are natural ingredients in Aloe Vera gel that significantly reduce saggy skin and cause it to rejuvenate. Take 2 egg whites and whisk until they become frothy, and rub it on your skin. For enhanced results, you can also use it in combination with 1 tablespoon of yogurt, 1 teaspoon of lemon juice, and 1 teaspoon raw honey. Rinse with cold water. minutes. Rinse with cold water. skin tightening and closing the pores of the skin. Take half cup of unsweetened and unflavored milk and half cup of honey. Whisk both the ingredients together for at least 2 minutes. Use this mixture to cleanse the skin by the help of your fingertips. Wash off with lukewarm water. Best time to apply: Leave on for 10 minutes. skin. Honey and milk have antibacterial properties that help cleanse the skin as well. Blend all these ingredients together and put it in an airtight container. Use this as a scrub and for massage. Massage in an upward direction for 10-15 minutes and rinse off with warm water. Best time to apply: you can massage any time. How this works: Caffeine helps tightens loosened skin by the help of antioxidants it contains. tablespoon of fuller’s earth and 3 tablespoons of rose water. Apply this mixture for 10-20 minutes or until it dries completely because that will ensure tightening of the skin. Best time to apply: until the mask completely dries. How this works: All of these ingredients are used in mixture for tightening the skin. Fuller’s earth and yogurt is an irrefutable combination for skin uplifting. Rose water helps fights blemishes. You simply need to rub a lemon over the affected area and leave it for 10 minutes. It can be used two to three times a day or even overnight. Wash it off with cold water followed by a moisturiser for enhanced results. Best time to apply: 10 minutes or overnight. How this works: Vitamin C is abundant in lemons, and this helps boost the production of collagen in your body, which itself is a skin tightener. This in return reduces wrinkles and tightens skin. Take 1 tablespoon of coconut oil and massage it onto your skin for five to ten minutes before going to bed. The massaging helps pushing the coconut oil deep into the skin which enhances the effect of the coconut oil. Best time to apply: Leaving it on overnight can help boost the healing. hydrates the skin, hence preventing it from sagging. Mash one ripe banana and mix it with fresh lemon juice. Leave it on for 10-15 minutes and wash off with warm water. Best time to apply: 10-15 minutes. How this works: Bananas are considered as beauty powerhouses. Thy contain of number of minerals such as iron, zinc, potassium, magnesium, and vitamins A, B, C, and D. these help in smoothing the skin texture, and the vitamins and minerals pack the mask with anti-aging properties. You need to take the papaya pulp and mash it to make a past. Apply this past on your face for 10-20 minutes. Wash off with lukewarm water. For maximum results, use once a week. Best time to apply: 10-20 minutes. How this works: There are enzymes in papaya such as papain that act as natural skin tighteners, and make skin smooth. Papaya also contains antioxidants and vitamin A which cause the skin to look fresh and supple. The collagen synthesis is also enhanced because of the vitamin C present in papaya. You need 2 –cups- of- Epsom- salt, -add it to warm water bath and soak your whole body for- 15 -to -20 -minutes. You don’t require rinsing your body afterwards. Soak your body twice a week for optimal results. Best time to apply: 15-20 minutes. How this works: Epsom salt is basically magnesium sulphate and is used for reducing swelling in the feet, ankles and other parts of the body. Epsom salts pulls excess water from the body and improves blood circulation, hence improving the skin tightness and prevents sagging. Apply witch hazel on your face, neck and chest using a cotton ball soaked in witch hazel. Let it dry for five minutes or leave it on overnight. For added benefits, another round of witch hazel can be applied on the same area as well. Best time to apply: until it dries completely. How this works: Witch hazel is a plant with many health benefits, some of which are to tighten and heal aging sun damaged skin. It can be purchased from drug stores or health food stores. It also has astringent properties, because of which the pores shrink and skin tightens. It can also slow down the breakdown of collagen and elastin fibres in the skin. Mix one tablespoon of fuller’s earth in warm water (rose water or milk can also be used) and make a smooth paste. Apply evenly on the skin and let it dry. Once it is dried rinse off with lukewarm water. For added benefits, a combination of several other ingredients can be applied, such as yogurt or honey. Best time to apply: until the mask dries. How this works: Fuller’s earth increases blood circulation and tightens the skin by improving skin elasticity. 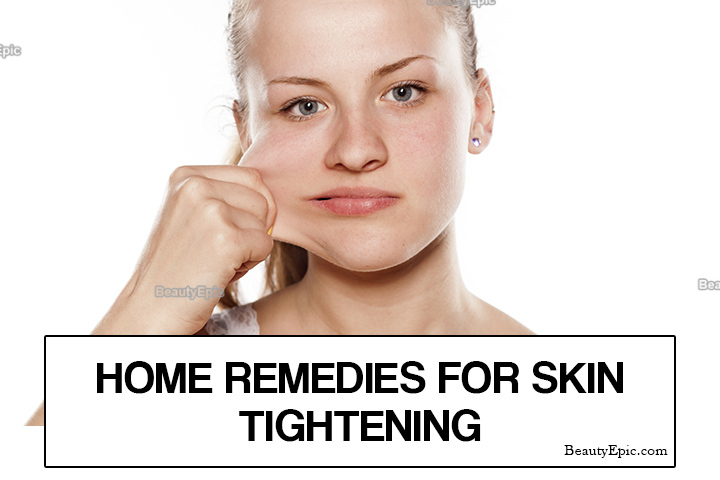 There are many clinical as well as home remedial ways that can be used for the skin tightening. 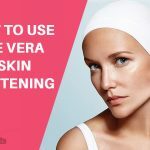 There are different skin types and the type of remedy that best suits your skin type should be used. If you are allergic to any product or are unaware of it, you can always do a patch test on the arm or neck. You can also change your diet in order to cleanse your body from the inside and prevent foods that contain antioxidants which cause sagging of the skin. There are also certain face and neck exercises that can be done to uplift the cheeks and the skin around the neck. The use of excess water helps in hydrating the skin and improving the elasticity of the skin, therefore causing the skin to become tighter. Smoking also accelerates the aging process which increases the sagging of the skin by breaking the collagen and elastin faster. Smoking also deprives your skin from oxygen. The use of vitamins, antioxidants and minerals must be increased in your diet as well.